Deepak Chopra has touched millions of readers by demystifying our deepest spiritual concerns while retaining their poetry and wonder. Now he turns to the most profound mystery: What happens after we die? Is this one question we were not meant to answer, a riddle whose solution the universe keeps to itself? Chopra tells us there is abundant evidence that "the world beyond" is not separated from this world by an impassable wall; in fact, a single reality embraces all worlds, all times and places. At the end of our lives we "cross over" into a new phase of the same soul journey we are on right this minute. 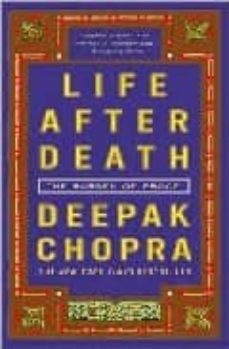 In Life After Death, Chopra draws on cutting-edge scientific discoveries and the great wisdom traditions to provide a map of the afterlife. It’s a fascinating journey into many levels of consciousness. But far more important is his urgent message: Who you meet in the afterlife and what you experience there reflect your present beliefs, expectations, and level of awareness. In the here and now you can shape what happens after you die. By bringing the afterlife into the present moment, Life After Death opens up an immense new area of creativity. Ultimately there is no division between life and death---there is only one continuous creative project. Chopra invites us to become cocreators in this subtle realm, and as we come to understand the one reality, we shed our irrational fears and step into a numinous sense of wonder and personal power.